camcorder, and more repaired? Click here. Warning - Due to lots of graphics; this page may load slowly. from throughout Upstate New York and the U.S.
- NYS sales tax payment required for New York State residents. CD $12.99 (2005, 61 min.) more info 21For Professional DJ Use Only. CD $12.99 (2005, 67 min.) more info 1For Professional DJ Use Only. CD $12.99 (2005, 58 min.) more info 1For Professional DJ Use Only. CD $12.99 (2005, 60 min.) more info 1For Professional DJ Use Only. CD $12.99 (2005, 59 min.) more info 1For Professional DJ Use Only. CD $12.99 (2005, 69 min.) more info For Professional DJ Use Only. CD $12.99 (2005, 52 min.) more info1For Professional DJ Use Only. CD $12.99 (2005, 61 min.) more info 1For Professional DJ Use Only. CD $12.99 (2005, 64 min.) more info 1For Professional DJ Use Only. CD $12.99 (2005, 74 min.) more info 1For Professional DJ Use Only. CD $12.99 (2005, 78 min.) more info 1For Professional DJ Use Only. CD $12.99 (2005, 56 min.) more info 1For Professional DJ Use Only. CD $12.99 (2005, 68 min.) more info 1For Professional DJ Use Only. CD $12.99 (2006, 76 min.) more info 1For Professional DJ Use Only. CD $12.99 (2006, 70 min.) more info 1For Professional DJ Use Only. CD $12.99 (2006, 61 min.) more info 1For Professional DJ Use Only. CD $12.99 (2006) more info 1For Professional DJ Use Only. CD $12.99 (2006) more info For Professional DJ Use Only. The Fab Cats - Oh Yeah! Shipping for DVD is $4.50. CD $6.99 (2007) SOLD OUT / Please purchase MP3 direct digital download directly above instead. Digitally remastered by Todd Hobin Studios from original vinyl records. 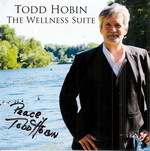 Release contains full length all Todd Hobin Band studio albums from 1978 to 1985. 4 releases on 2 CDs are Todd Hobin Band (1978) / Passion and The Pain (1980) / Keepin' The Dream Alive (1982) / Turn It On (1985). Front insert is personally signed / autographed by Todd Hobin so not in shrink wrap. Note: The Dream, Live 1974-1991 is available below on CD and direct digital download. Individual CDs and direct digital downloads are also available below. CD (2000, 217 min.) 08/04/2008 OUT OF PRINT - Please purchase individual CDs or MP3 direct downloads below. Please purchase MP3 direct digital download below instead. Priority Shipping with insurance for Don Imus Radio Show Broadcast CD $10.00 per item. Priority Shipping with insurance for Ron Lundy Radio Show Broadcast CD $10.00 per item. Priority Shipping with insurance for Ron Lundy Radio Show Broadcast CD Set $10.00 per item. Priority Shipping with insurance for Murray The K Radio Show Broadcast CD $10.00 per item. Priority Shipping with insurance for Jay Nelson Christmas Radio Show Broadcast CD $10.00 per item. Priority Shipping with insurance for Mark Simone Radio Show Broadcast CD $10.00 per item. 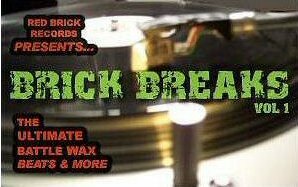 Red Brick Records music and clothes. (c) 1999-2019 Able Al's (TM). All rights reserved.